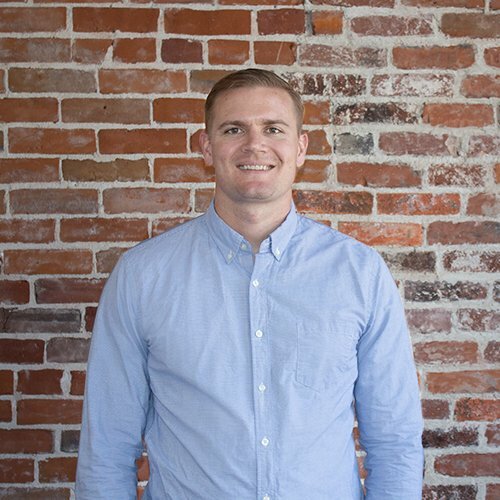 Caldera Forms can be used to create every type of form imaginable — contact forms, lead generation forms, registration forms… and we’re especially good at complicated hook-ups. Need emails to go out to 3 different people depending on input? Need to collect information from 3 different groups, some on mobile? We can do it. 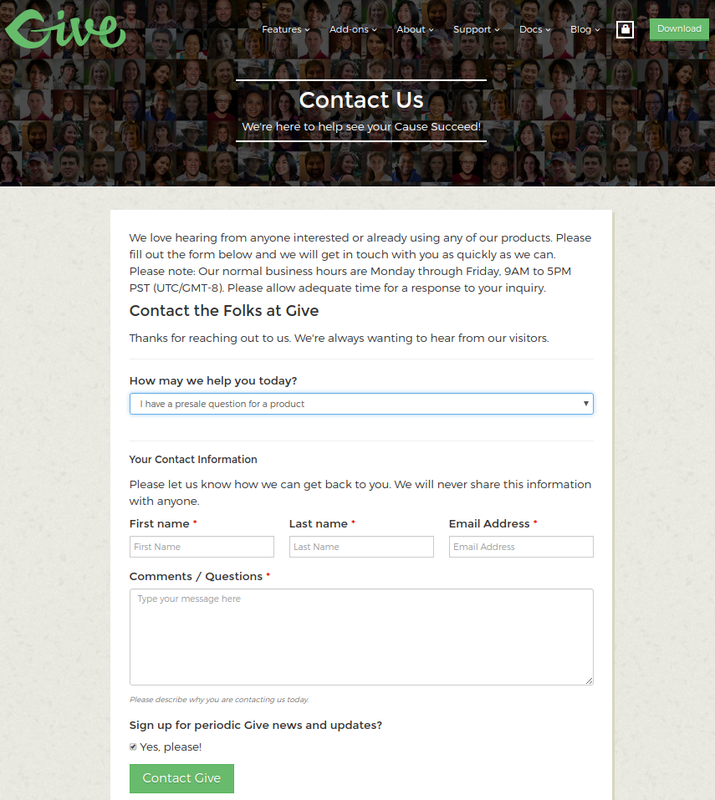 This is the contact form created using the “Contact Form” template. 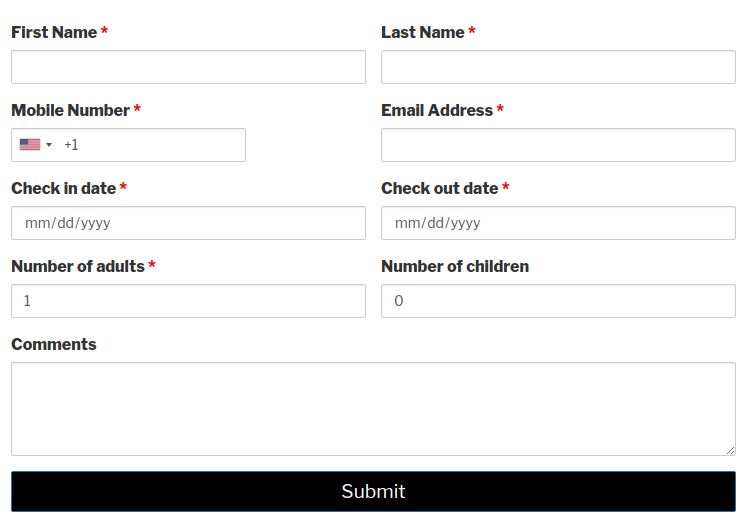 To create a contact page on your WordPress form, you can use this template, add the shortcode to a page and be done in a few minutes. 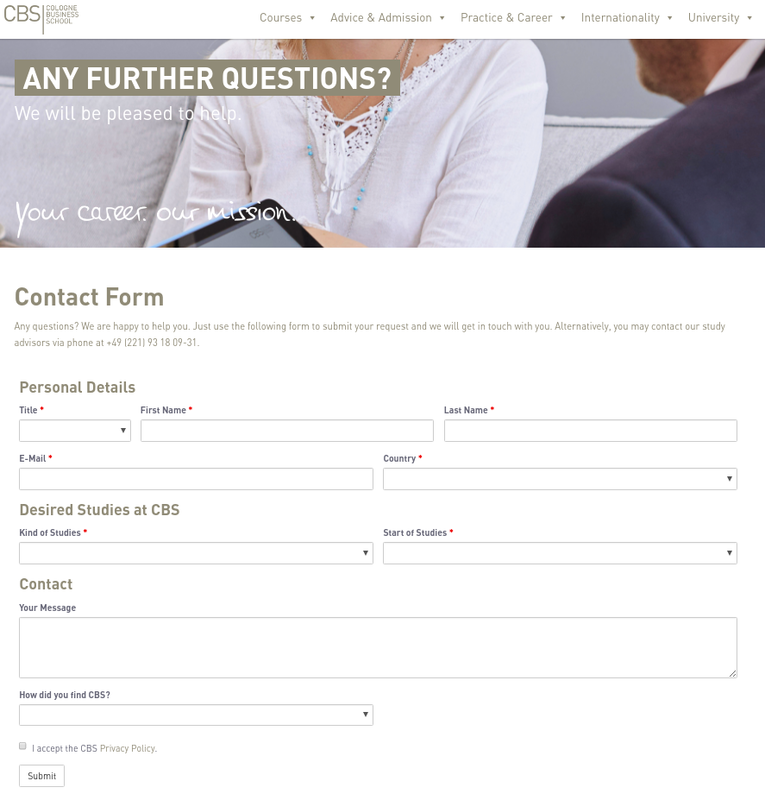 A basic booking form that can be adapted for consultants, coaches and even rental rooms. Makes use of phone, date and number fields. Caldera Forms has many payment processors to accept credit card and other types of payments. 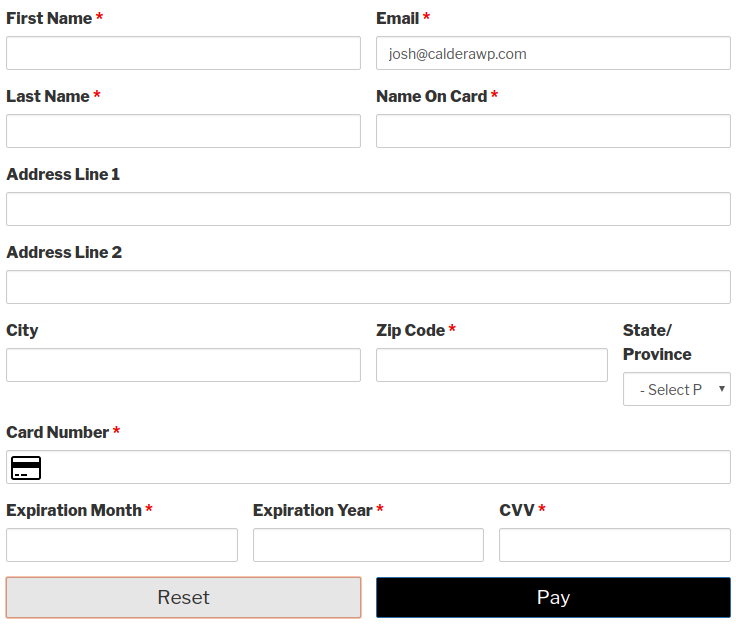 This example shows a one-time credit card payment form, processed using Braintree. Makes use of credit card fields. Caldera Forms includes a ton of fancy fields for free. 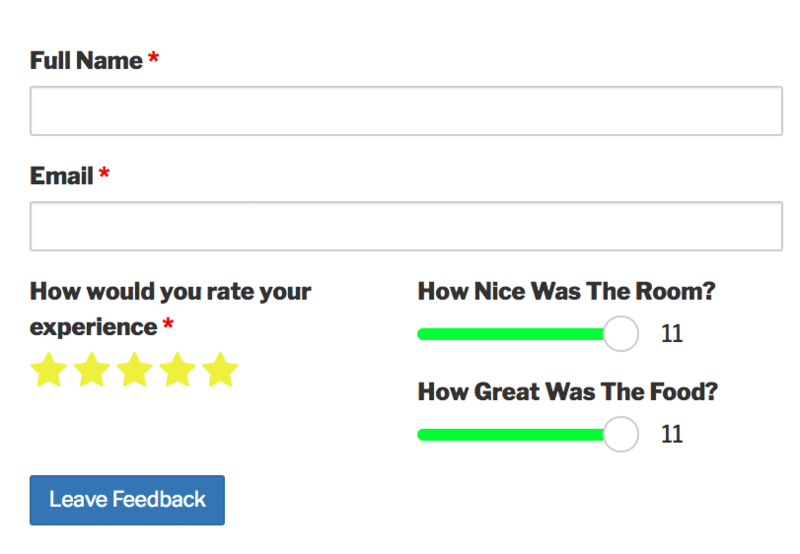 Some plugins even charge for dropdowns, we include those along with really cool fields like the star rating field used in this field. 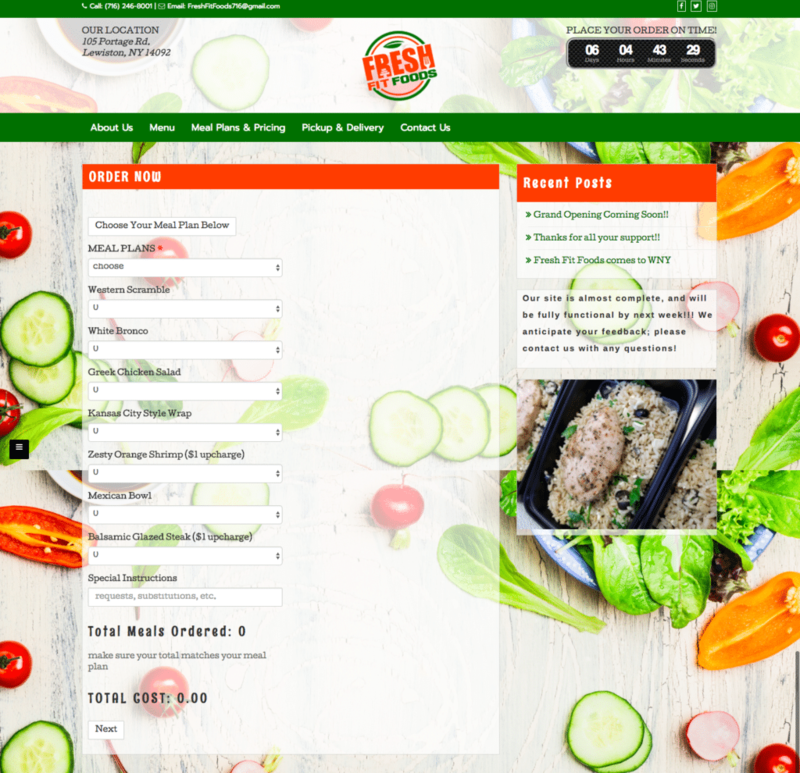 Fresh Fit Foods delivers convenient meals to your home. Their order form is a clever Caldera Form. Check out Cologne Business School's Caldera Forms-powered application. 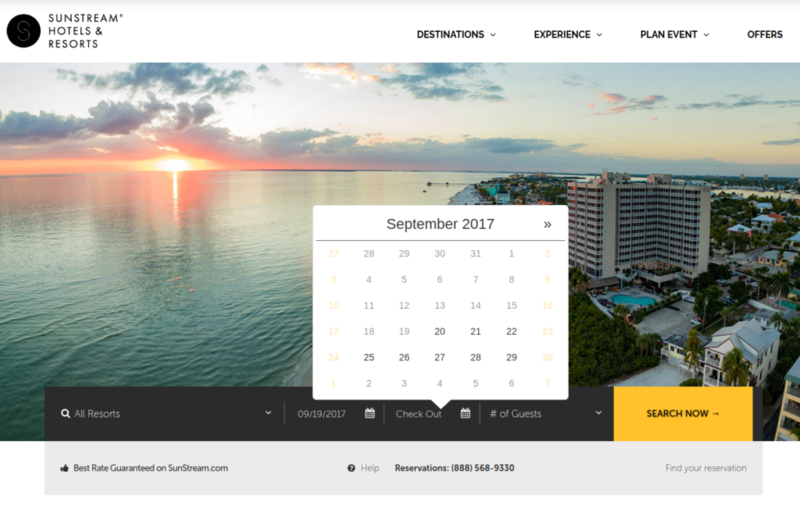 Sunstream Hotels & Resorts accepts reservations using Caldera Forms and clever CSS. 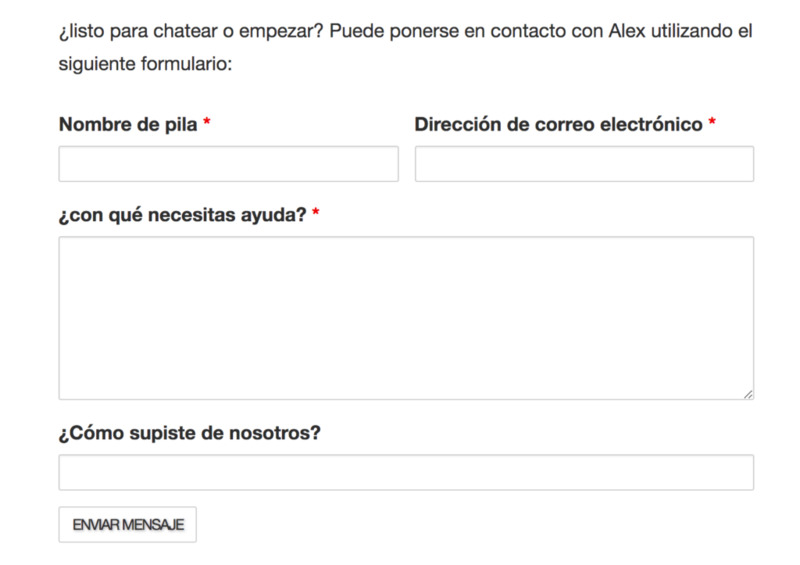 Alex created a bilingual Spanish/English form using Caldera Forms. GiveWP, WordPress's best donation plugin, uses Caldera Forms for its contact form. 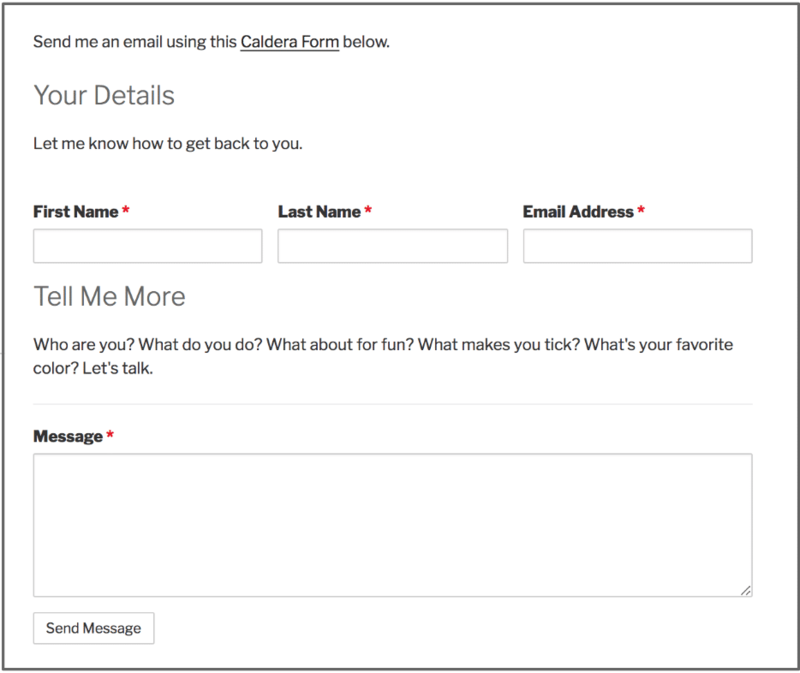 Fit Body Blitz accepts customer testimonials using Caldera Forms. Multiple payment gateways, user registration, PayPal, even a one-page checkout are all possible with Caldera Forms Pro. "Great plugin that I will be using for years to come." Leave your name and email below along with a link to your form and a short description of it. If we love it, we’ll link back to your company’s website, too. Caldera Forms is a different kind of WordPress form builder. Developed to be responsive, intuitive and meet the needs of the modern WordPress web application builder. Try us out today and experience what WordPress site building could be.